Click on some of the links to find about the experiences that SEEC student have with strategic organizations and partnerships in the Gulf Islands Region. 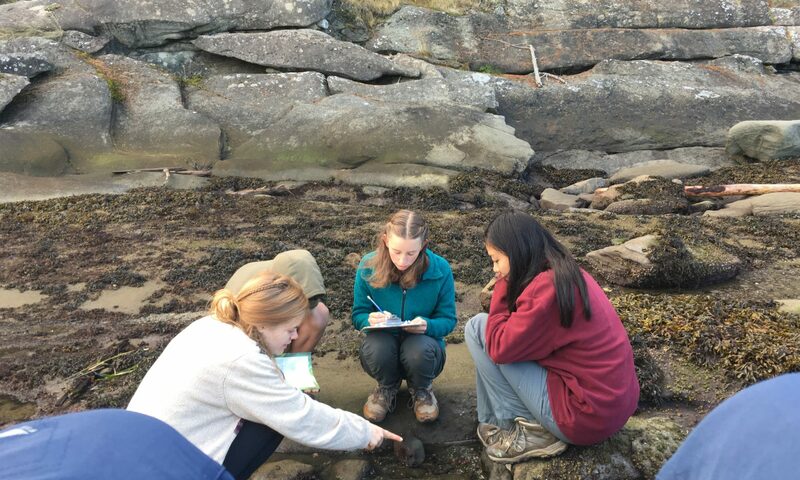 Van City EnviroFund: SEEC is recognized as a leader in environmental education and given a $10,000 grant to engage in conservation and citizen science. C3 – SEEC was featured on Canada’s Coast to Coast to Coast. This Sesquincentenial Voyage was a ship that traveled to 150 exceptional communities across canada. SEEC was featured as a model for experiential education on a National Stage. Science World’s BC Green Games: Winner of Secondary School Grant: For communicating a story about an important conservation act. Check out the video about forestry on galiano. Community Stewardship Award- Islands Trust : SEEC has been recognized for benefiting visiting high school students from all over southwestern BC by teaching them about ecological concepts using the unique ecosystems of the Gulf Islands, along with community, values, and skills. OECD Innovative Learning Environement: SEEC has been feautred as a unique model for learning environments to follow. Eel grass and Kelp Bed Monitoring: SEEC students participated in a 3 day kayak trip to engage in citizen science and ecological monitoring. Using gps’ we followed the divers to help with mapping the sensitive fish habitat. Tsawout Newsletter – This december SEEC students were featured on the cover of the Tsawout first nations newsletter for participating in the raising of the 13 Moon Calendar – an initiative to recognize WSANEC traditional Territory on Saturna.